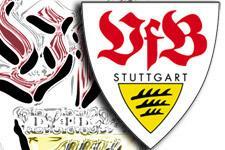 VfB Stuttgart was founded in 1893, with the name FV 1983 Stuttgart. In 1912, the club merged with Kronenclub 1897 Stuttgart-Cannstatt. Three French players have plied their trade in Stuttgart: Marc Berdoll, Gilbert Gress and Dider Six. Other names to have played at Stuttgart: Guido Buchwald, Dunga, Giovane Elber, Jürgen Klinsmann, Kevin Kuranyi and Philipp Lahm. Despite 2 appearances in the finals of European competitions (Cupwinners Cup in 1998, beaten 1-0 by Chelsea, and the UEFA Cup in 1989, beaten 2-1 by Napoli), the Stuttgart club has never won a European title. In the off-season, the German champions lost their international keeper Timo Hildebrand and Danish striker Jon Dahl Tomasson but recruited the Turk Bastürk. 5 German league titles: 1950, 1952, 1984, 1992 and 2007. 3 German Cups: 1954, 1958 and 1997. 2 Intertoto Cups: 2000 and 2002. Only one Ballon D’Or winner has played at VfB Stuttgart: Mathias Sammer (who won the award while at Dortmund in 1996). 9 Germans, 4 Brazilians, 2 Mexicans, 1 Austrian, 1 Portuguese, 1 Ivorian, 1 Swiss, 1 Swede, 1 Turk, 1 Cameroonian and 1 Romanian.